White sandy beaches, sparkling water and romantic sunset scenery… we don’t blame you for choosing Anna Maria Island as your wedding destination. Just let the image of a golden sun-cast glow, sand between your toes as you wander down the aisle and vows accompanied by ocean waves do the talking! But, before you jump straight into your quaint little daydream, there’s a whole lot of planning involved to make it a reality. 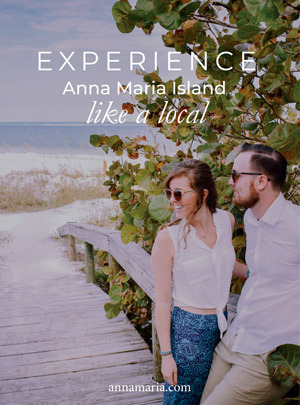 We understand how stressful it can be knowing where to even begin in terms of wedding prep, so we’ve done the hard work for you and produced the ultimate guide to hosting the perfect wedding on Anna Maria Island. Beaches are not just limited to the honeymoon anymore and are a common spot for the actual wedding ceremony! Growing more popular by the second and dubbed the “Beach Wedding Capital of Florida,” it’s no shock to hear Anna Maria Island has become the go-to destination for brides to live this fantasy. As the local Anna Maria Island community has grown accustomed to the trend, so have the offerings here in terms of venues, planning and ease! If you’re hoping to swap vows and say, “I do” on Anna Maria Island, you’ll need to contact the Manatee County, Florida Clerk of the Circuit Court ahead of time. You’ll also need to research wedding permit requirements and possible restrictions depending on which community you want to marry in. Nevertheless, beachfront weddings are more than accepted, if not celebrated on Anna Maria Island, so it’s just a case of picking the venue that suits you best. Feel as though something’s missing? You guessed it – florals! An island wedding wouldn’t be the same without lush blooms decorating the event. Anna Maria Island offers two fantastic florists to choose from: Ms. Scarlett’s Flowers & Gifts and Flowers by Edie, both of which are experts in the wedding field. They’ll understand your requirements and deliver fresh, high-quality arrangements and bouquets straight to your ceremony. You’ll be delighted to hear that there’s no right or wrong option when picking a wedding venue on Anna Maria Island. Any location is pretty much guaranteed to be spectacular! However, if you’re planning to host on the south end of the island, look into Beach House Waterfront Restaurant. Located footsteps away from Bradenton Beach, this catered space is fully-equipped to serve a heavenly spread of food, not to mention the stunning, panoramic views complementing it. 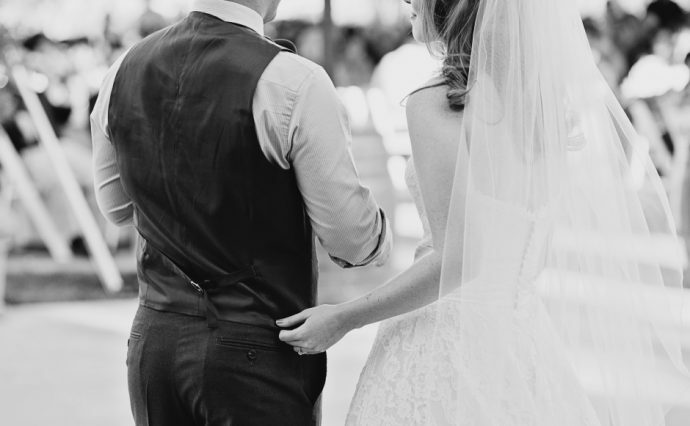 Alternatively, if you prefer something a little more retro but with charming character, Mixon’s In the Grove has ideal settings for all kinds of outdoor weddings. With options to host in a gazebo, the inn or the hall, this versatile space has everything you need to leave you and your guests in awe. We’d suggest opting for the gazebo; think landscaped Koi pond and waterfall ornaments that make for sweet, decorative touches. There’s no reception without food, so make sure you know where to go for top-quality catering! Preferred options include Sarasota Catering Company, Premiere Catering or Harry’s Continental Kitchens. All three maintain a raving reputation and impressive reviews – the ideal recipe needed to satisfy hunger while impressing your guests. Your guests will thank their lucky stars they were ever associated with you once they discover the serene vacation rentals on offer. 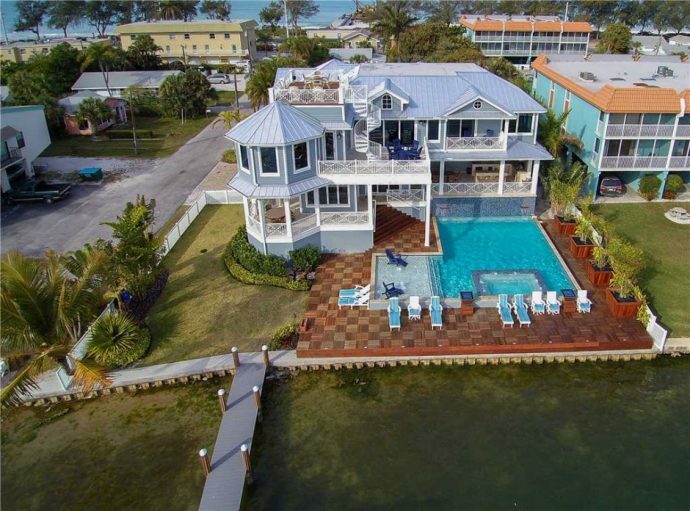 Anna Maria Island is home to a large choice of group accommodations; from 1-2 bedroom rentals to stunning beachfront apartments. There are even dog-friendly properties available should your family pooch come along for the celebration! It doesn’t matter where on the island you decide to host your wedding, there’ll be a guaranteed luxurious and homely room to crash in once the evening draws to a close. And the best part? You won’t be breaking the bank to pay for it either! 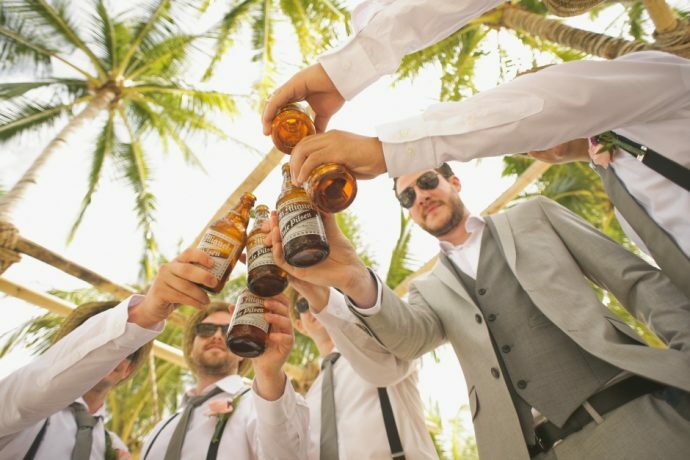 Unless you and your bridesmaids are content to sun yourselves on the beach, sipping on a pina colada and watching the world go by, there’s really nothing else you need to do in the lead-up to your big day. But, if the white sand beaches and azure ocean colors aren’t tranquil enough, then treat yourself and your bridesmaids to an ultimate spa day! There’s no better way to relax and prepare for a wedding than to indulge in a total pamper session. Anna Maria Island offers them in abundance! “The Mermaid Glow” and “Sugar Scrub” treatments are available at Salon Salon of AMI, comprised of deep tissue massages and reflexology sessions. On the other hand, Claire Marie Spa opts for more conventional packages like facials, manicures and hairstyling. But if holistic remedies are more your thing, head over to Aluna Wellness and immerse yourself in acupuncture, niche herbal treatments and cold laser pain therapy. Acqua Aveda even supplies pamper sessions from the comfort of your own vacation rental! Book a “stay spa” day for you and your girls, choose either deep tissue massages, facials or manicures (or all three!) and beauty experts will be on hand to spoil you at your leisure. Then take your new looks out on the town for a fun girls’ evening out on Anna Maria Island. Alternatively, the males of the pack can explore their wild side with a range of outdoor activities. The vast 600+ acre Robinson Preserve on the South side of Anna Maria Island is home to kayaking and paddleboarding – the ultimate in male bonding experience and a very different kind of bachelor party! It’s also an ideal way to explore the conservation site without disturbing the environment. For something more peaceful, there’s always fishing, exploring observation towers and taking hikes to fill your time instead. Admission is free, but guided or self-guided tours and equipment rental will come with a varying fee depending on the provider. We hope this guide will help you prepare for your upcoming memorable and incredible Anna Maria Island wedding, in one of the most scenic beach destinations in the country. If you have any specific questions about reserving accommodations, venues, vendors, and facilities on our island, please call us at 1-800-737-9855 today!